Spotless RV Park with Basic & Full-Service Cabin..Well landscaped, close to Flathead River & Lake, 20 mins to Glacier Park. RV supplies, gifts, snacks & Meat Shop. We can match you and your group needs to the ideal location, lifestyle activity, season & price range for cabins around Whitefish, Flathead Lake and Glacier region. 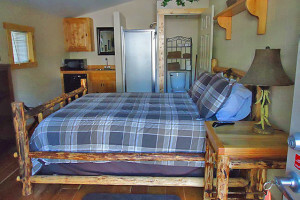 From our Glacier View Chalet (3-bdrm, sleeps 6) to our themed cabins (Bear, Elk, Moose & Trout) sleeping up to 5 each, our renovated & warm cabins look into Glacier Park. Elegance or rustic beauty - you have your choice. 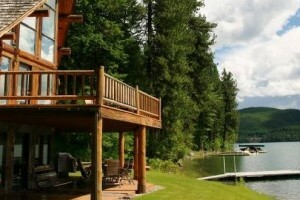 Get a fabulous Flathead Valley home, condo or cabin. Make your vacation the best it can be. Offering 3 individual unit cabins, each sleeping up to 4 guests in a beautiful 60-acre wooded setting, all just 1 mile from downtown Bigfork. Stay in a luxury riverside cottage only a short distance from shops, galleries, dining and live theater, as well as plenty of premiere recreational opportunities. Come experience the views of the Mission and Swan Mountain ranges at Coyote Roadhouse Riverside Cabins near Bigfork! Lots of local activities happening close by! 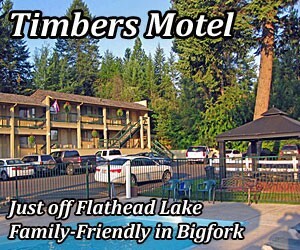 Across the street from Flathead Lake with large pull-through 50-amp spaces and full hookups, condo/cabin rooms with kitchenettes and cable TV. Rentals or OWN your own unit. The Lodge at McGregor Lake is a year-round facility with a variety of lodging options. Join us for boating, diving, ice fishing, trails and wildlife. Beautiful cabins with western decor invite you to relax and refresh. Wide array of recreation including whitewater rafting, hiking, hunting, kayaking and more. This hand-hewn cabin sits south of Glacier Park, between Kalispell & Bigfork. It has 3 rooms, sleeping 8 comfortably. 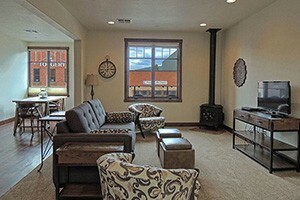 Each room can be booked separately or the entire cabin. Large RV sites, cable TV hookups, WiFi, Cabins, mini-golf, hot tub and pool. First-class service from local owners who care about your family. 5 beautiful cabins (sleeping 2-4 each), plus a large 3-br, 2-ba home (sleeps 6) located in the Swan River Valley, 20 minutes from Bigfork. Groups of 20-25, ideal retreat. 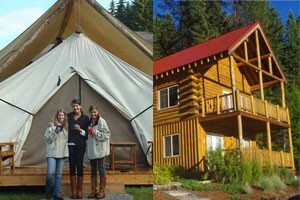 RV, tent camping, cabin lodging and store/diner bordering Swan Lake & refuge 20 mins from Bigfork. Park-like setting. Beautiful pond and stream.